I have been staring at the screen long enough now without knowing how to translate feelings into words…that’s what last evening was all about for me. The on-stage choreography was almost comparable to the cirque de solei, the technology and lighting were a good second to Broadway musicals, but beneath this entire extravaganza was the soul stirring music. 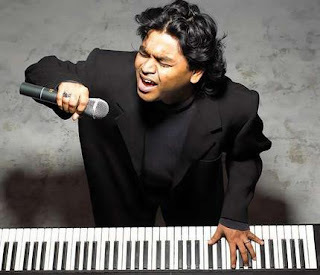 Rahman once again proved that genius doesnot lie in raw talent alone, but manifests itself more magnificently when there is humility and the assumption that one can always surpass oneself. Frankly, my friends and I went with a mediocre expectation, not because we doubted his genius, but because he has been on a viciously hectic world tour and had already performed 3 concerts this week. I expected him to please the audience with all our favorite peppy numbers, have us cheering and screaming and send us packing with sore throats and happy grins. How wrong I was! Except for the sore throats of course, and an unexpected baggage…a faint throbbing in my heart which hasn’t rid itself almost a day after the magical two hours. The start of the concert was a tad disappointing with some popular head throbbing songs but not good enough to lose myself in the music. The first real touch was when he sang “yeh jo desh hai” from Swades with very minimal background music. And then began the real show…even as he interspersed the show with melodies from Roja, Bombay, Dil Se, Rang De Basanti, Hum se hai Muqabla and even Endhiran (Robo) sung by other singers like Hariharan and Vijay Prakash, he himself was there playing the guitar, the piano, the keyboard and the flute too! He also performed Michael Jackson’s Black and White as a tribute to his friend who died shortly after deciding on working with him. 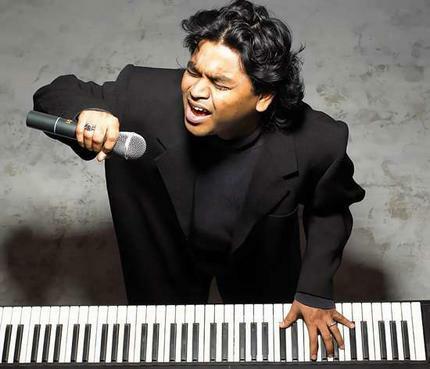 Tamilians like me were pleased with the good number of songs he and Hariharan sang to us in Tamil as well. But there were some parts of the concert which will serve as lifetime memories. Albeit the fact that everyone knew that this was one voice that was recorded, the experience was truly magical, thanks to technology. The audience was treated to a more than life size presence of Lata Mangeshkar. There was a massive 3D hologram of her in her trademark white Sari, holding a mike and singing “Luka Chupi” as a duet with A R Rahman. The hologram’s head shook with the right chords, her hand moved with the right beats, and her throat twitched with the notes. The uproar from the stands was unmistakable evidence to the fact that the 60, 000+ audience cared not that this was a technological illusion. Lata’s presence was felt in more than spirit. A medley half way through the show with all singers and instrumentalists on stage was indeed memorable. Classical ghazal, Western, bollywood and tollywood all blending seamlessly was by no means a mean feat. Hats off to the entire team. 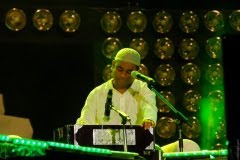 The highlight for me, and the reason for my heartache: Rahman singing Khwaja mere Khwaja. When he was singing this song, it was like he was giving away a part of himself to everyone to take away with them. It spoke wordlessly of his character and devotion and spiritual beliefs and yet more eloquently than any pen or mouth ever could. It was more divine and soul stirring than anything I have ever heard in person. His song followed right after another singer’s rendition of “O Palanhare” which although well sung was far from soul stirring. Even as he sat there in his white kurta and turban singing the praise of a Sufi saint, I felt more pure than I have in ages. Music truly has no language…and no religion. As for the rest of the show…I hardly noticed or cared. Nothing could vacate the feeling I was experiencing.